KUCHING: A gas explosion at an eatery in CityOne Megamall in Jalan Song here today, killed three men and injured 26 others. 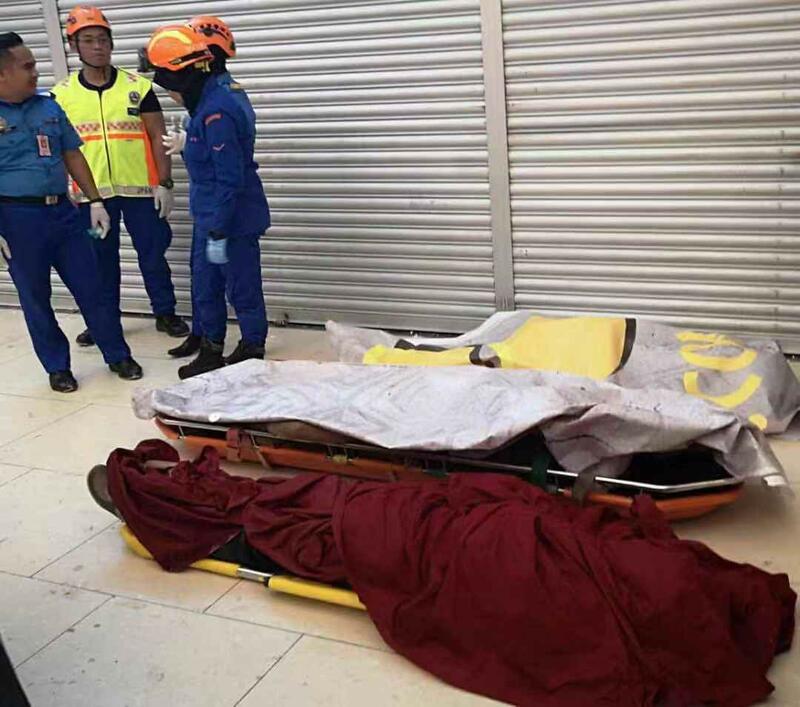 According to state Fire and Rescue Department director Khirudin Drahman, two of the deceased were local contract workers carrying out the renovation works at the said eatery, while the other man was from Penang. However, the identity of the three men have yet to be ascertained. He said the the victims succumbed from their injuries after they were crushed by the collapsed wall debris following the explosion. Khirudin said out of those who were injured, four were classified as seriously injured. Bomba personnel conducting their rescue operation. Khirudin (third left) is among those at the scene to monitor the rescue operation.